Pro-Tek™ multipurpose cleaner and degreaser is a product that uses technology to perform at a level not seen in retail products on the market today. 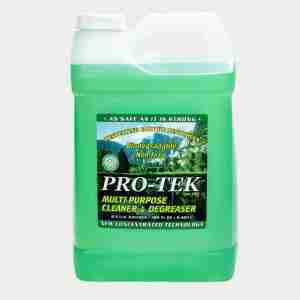 Pro-Tek™ Cleaner is formulated with the environment and the economy in mind as it contains alkaline builders and biodegradable surfactants. 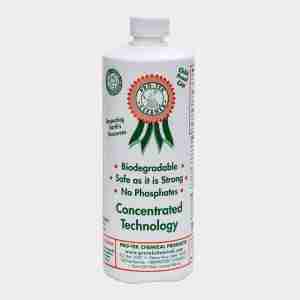 When diluted properly it is biodegradable, non-toxic, ozone safe, VOC compliant, and it is also packaged in recyclable containers. Pro-Tek™ is capable of removing the heaviest cases of grease, oils, and some of the toughest carpet stains.